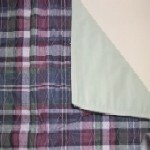 The large 21" x 22" pad holds a full 8 ounces of liquid and is available in four "upholstery" colors - Spruce and Cabernet. 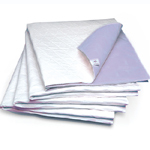 This is an incontinence pad that can be used for recliners, overstuffed chairs, wheelchairs and to also to protect your car's upholstery. 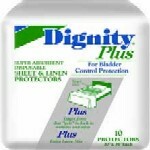 Soft Quilt Chair Pads are heavy duty chair pads for incontinence sewn out of a soft, upholstery like nylon fabric. 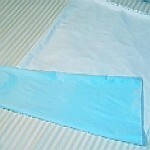 The Soft Quilt Chair Pad is made up of several layers. 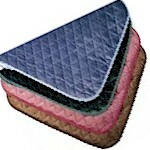 The top layer is a soft, velour, quilted nylon fabric. 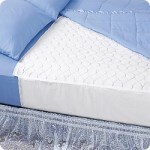 The top layer is quilted to the inside absorbent layers in a small quilt pattern for extra stability and durability. 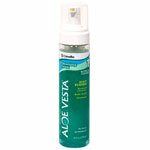 The bottom layer is a waterproof vinyl that is backed with polyester that has some "tack" which eliminates slipping or sliding. 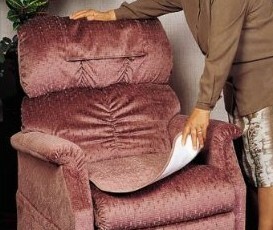 The edges of the chair pad are finished with a binding tape that has been "serged" for extra durability. This pad is thicker than most incontinence chair pads. 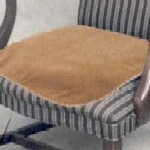 This is a tough, long lasting chair pad!